Will you be sitting on the hot pavement tailgating before the big game? Fall is upon us, which means the leaves are changing, the air is cooling and football season is here. Yes, tailgating is in full swing! Pre-game tailgating gives us the chance to bond with fellow sports fans over the grill and cold beverages, but it also presents a few hazards that shouldn’t be overlooked. The sun might not be sizzling like it was during summer, but even under a cloud covered sky it’s easy to get burned while tailgating. If you’re hosting a tailgating bash, have plenty of sunscreen on hand for your guests and don’t forget to protect yourself. For most tailgaters a perfect tailgate party includes plenty of sun, warm temperatures, and maybe a light breeze. But if the weather conditions are less than ideal, what do you do? When you consider that tents aren’t allowed at the parking lots, you need to get creative so you can still have a successful tailgate. 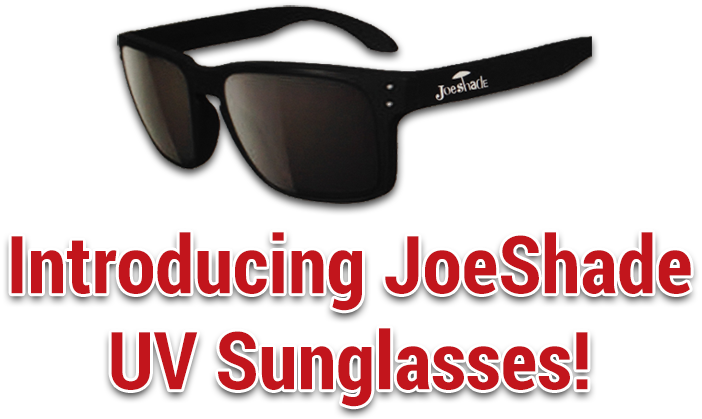 One product that will keep you cool and protected at your tailgate party is JoeShade, portable sun shade umbrella. Take care to stay hydrated while tailgating and reach for a bottle of water in high temperatures. Don’t forget the sun protection, either. Apply your sunscreen about 30 minutes before you arrive at your tailgate, and don’t forget to bring your portable sun shade umbrella with tripod stand. You’ve put a lot of thought into game day; don’t ruin an otherwise festive day of tailgating by being unsafe. Order your JoeShade umbrella today and make your tailgating checklist complete!